When summer hits, it’s usually the time where we all try to look a little more natural and wear less makeup to avoid any creasing, “melting”, or fading the sun and heat may cause. 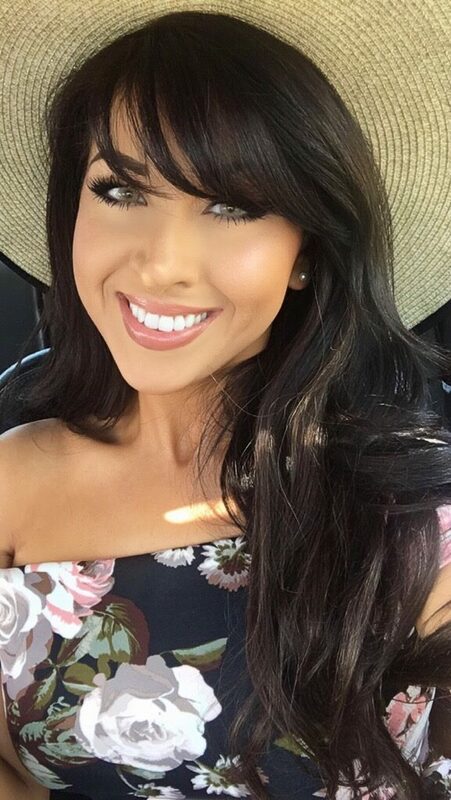 During the summer, I don’t wear as much eye makeup and I try wearing a lighter foundation with minimal powder and of course a bronzer all over. Since I’m taking the focus off of my eyes, it’s a fun season to experiment with bright blushes and lipsticks. When wearing a bright blush or lipstick, you always want to keep the eyes very soft, so it doesn’t overpower the look. You can either go neutral, wear a soft wash of taupe, champagne or gold all over your lid, or use a shade that almost matches your skin or keep it bare with a couple of coats of mascara. 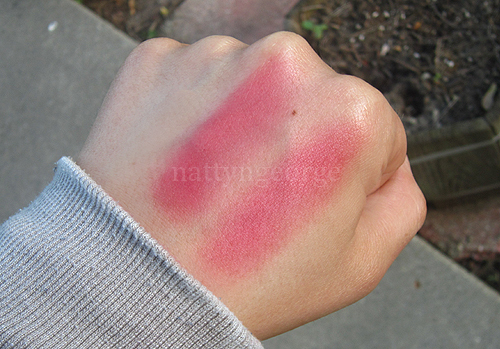 Left: MAC Salsarose (satin) & Right: MAC Frankly Scarlet (matte). Bright blushes might look a little intimidating to those who aren’t very comfortable with color, but you can really use any blush and make it look natural by using the smallest amount. 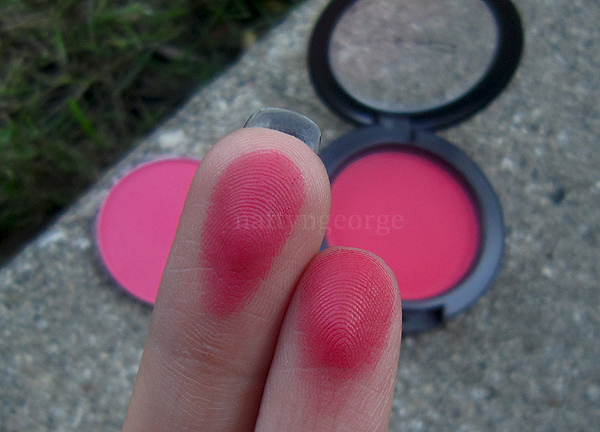 Two of my favorite bright blushes are MAC Frankly Scarlet and MAC Salsarose. Both are extremely similar raspberry shades, with Frankly Scarlet being slightly more red, and Salsarose being slighlty more pink. Swatched heavy, you can see the difference, but swatched lightly you can barely tell them apart. The lovely thing about shades like this, is when applied lightly to the face, the color is very reminiscent of the actual reddish hue your face will naturally turn when you blush. Finger swatches in the same order as above. Frankly Scarlet is a permanent MAC shade, whereas Salsarose is a PRO shade and can only be purchased at a MAC Pro store or ordered by phone at 1-800-866-6464 (for US orders). (See more information about PRO products here) MAC Dollymix is another favorite of mine, but I actually lost mine, and I’m going to have to purchase another one pretty soon. Some other brights that are on my wish list are: MAC Devil (Pro), MAC Full Fuchsia (Pro), Nars Rhubarb (Pro), Nars Exhibit A, Nars Taj Mahal, NYX Hot Pink & NYX Red Cheeks. What are some of your favorite brights? I’ll be posting favorite bright lipsticks soon as well..
Neutrogena Healthy Skin Foundation Review! Absolutely love this look! Definitely planning on trying it out for myself soon. Gotta hit the MAC counter on Michigan Ave first tho! WOW those are bright!!! I am really fair skined so I dont think I can pull them off.. Or maybe I dont know how to apply them properly.. either way, the look great on you! i didn't realize how alike those two looked. i really want salsarose. it looks lovely on you. I loooove bright blushes! I think they look so natural if worn well.. Frankly Scarlet looks so pretty but I never even thought twice about actually getting it.. Only coz I have other non-mac blushes that are just as bright but more pigmented.. I love bright blushes – Dollymix is my favorite. So pretty! I have Salsarose too…it looks great on tanned skin. I love NARS Cactus Flower cream blush at the moment. Great post! Bright blushes look gorgeous on you, I love wearing them as well. Ahhh! I LOVE Frankly Scarlet! But I've been ignoring it a lot lately… definitely time to bring it back out for the summer! Ahhh, such a soft and pretty Spring look on you. You are too cute:)I feel the same way as you do about not wanting to wear too much makeup when it's hot out. Gorgeous! what foundation are you wearing? use rep code YOU001 at http://karmaloop.com for 20% off your entire purchase! GREAT colors! I ❤ Frankly Scarlet. I'm pretty fair skinned though so IDK if they'd wash me out and make me look even whiter but they're worth trying 😛 thanks for the post Natty! those are really bright but it looks good on you! I love all the colors!!! Looks so good on you! & You're soo pretty! I am following your blog! Its great that you're from the Windy City too! Hope you follow my blog. Really nice post. 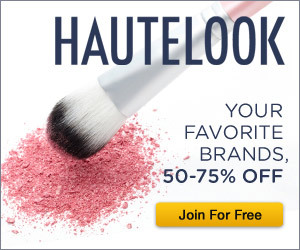 Thanks for providing information on bright blushes for summer. You look gorgeous!! I need to buy those!